DALIAN GALLERY HOUSES A VAST COLLECTION OF CHINESE AND TIBETAN ANTIQUE FURNITURE ITEMS. THE TIBETAN COLLECTION IN PARTICULAR IS AMONG THE RAREST IN EUROPE. DALIAN GALLERiassa ON ESILLÄ LAAJA KOKOELMA KIINALAISIA JA TIIBETILÄISIÄ ANTIIKKIHUONEKALUJA. OPENING HOURS ON TUESDAYS (15-18) AND SATURDAYS (11-15). TO ARRANGE A SEPARATE VIEWING DURING OTHER TIMES PLEASE CALL +358400955655. In spite of the long history of Chinese furniture, it has begun to attract the attention of collectors only during the past two decades. After Wang Shixiang, the most renown researcher in the field, published his thorough study entitled ‘Classic Chinese Furniture: Ming and Early Qing Dynasties’, interest has grown rapidly overseas as well as in China. Initially the attention was focused on furniture made from precious hardwoods like huanghuali and zitan, causing items made from other woods to be ignored. However, at the end of the 1990s, traditional Chinese furniture made from local woods (e.g. elm, nanmu, cypress, pear, oak, and walnut) began to gain recognition. Most of the items in the Dalian Collection are made from these woods, also known as Chinese softwoods. One has to be careful here, since in the West, the term "softwood" is used for soft woods such as pine, fir and cedar, while “hardwood” denotes wood from hard woods such as walnut, cherry and oak, the latter of which are considered softwoods in the Chinese tradition. 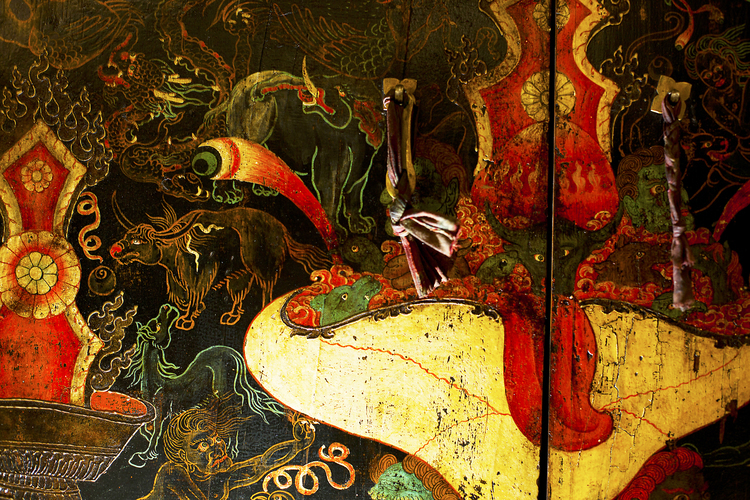 Most of the old furniture that has survived is dated from mid to late Qing dynasty, that is, the 19th century or later. Tibetan antique is dominated by Buddhist motifs. The ornamental designs on items commonly depict features of Tibetan Buddhist rituals that can seem gruesome to the Western eye. 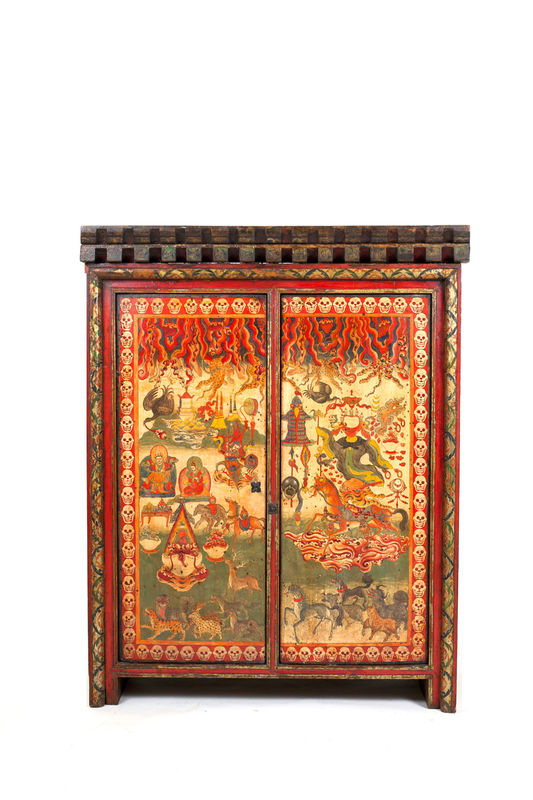 The more sizeable items in private Tibetan households used to include primarily trunks as well as small-sized tables and drawers that resemble kang furniture. These items were often decorated with floral paintings in bright hues of red, yellow and blue. 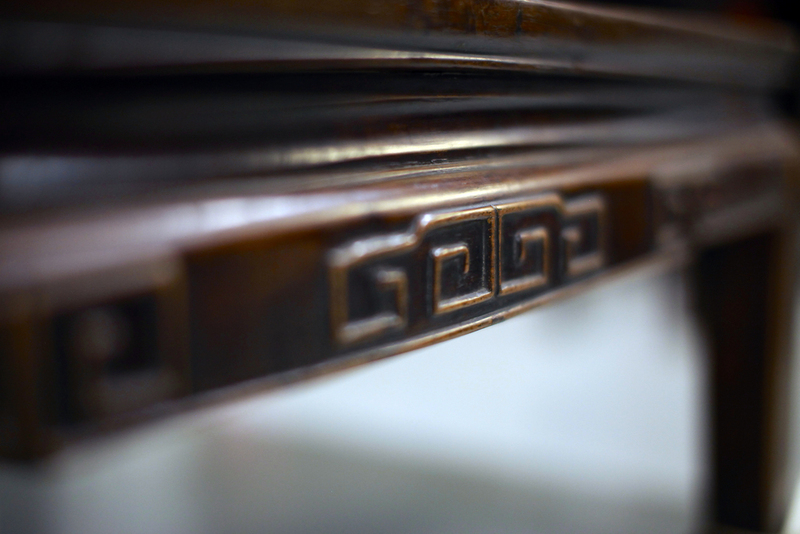 Dalian also has a small collection of Mongolian antique furniture items, mainly small-sized drawers. Mongolian items reflect both Tibetan and Chinese cultural influences. The furniture resembles Chinese counterparts, while the small-sized everyday objects of the nomads share uniform features across the wilderness of northern China. In Tibetan and Mongolian items alike, one can sense the scent of fireplace smoke, pipe tobacco, and butter.